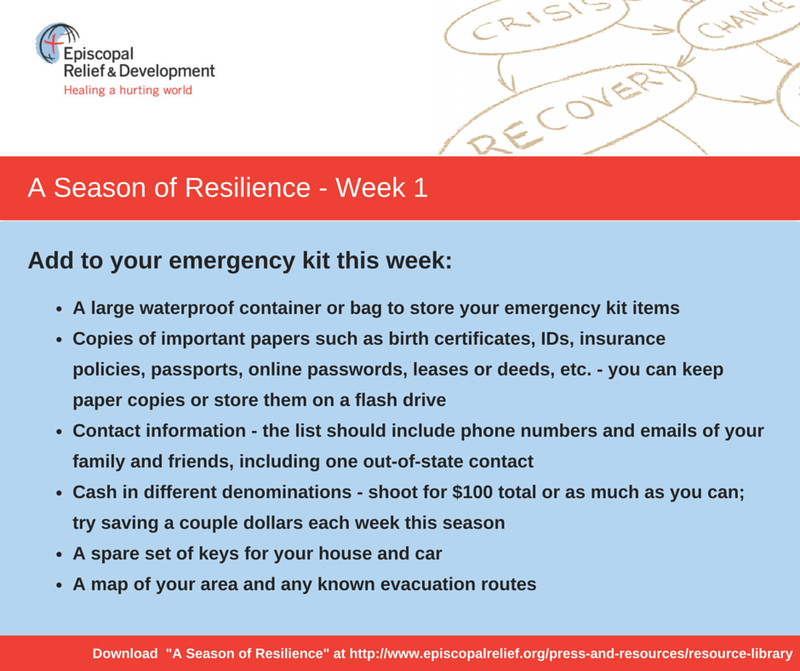 Episcopal Relief and Development’s “A Season of Resilience” is a new resource designed to encourage individuals and families to practice disaster preparedness in small steps. 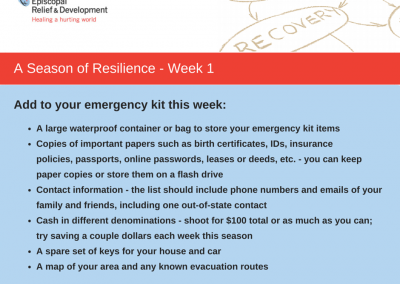 Each week for five weeks, folks are asked to take on small tasks or small purchases to build up their emergency kits. Every bit helps in disaster preparedness. 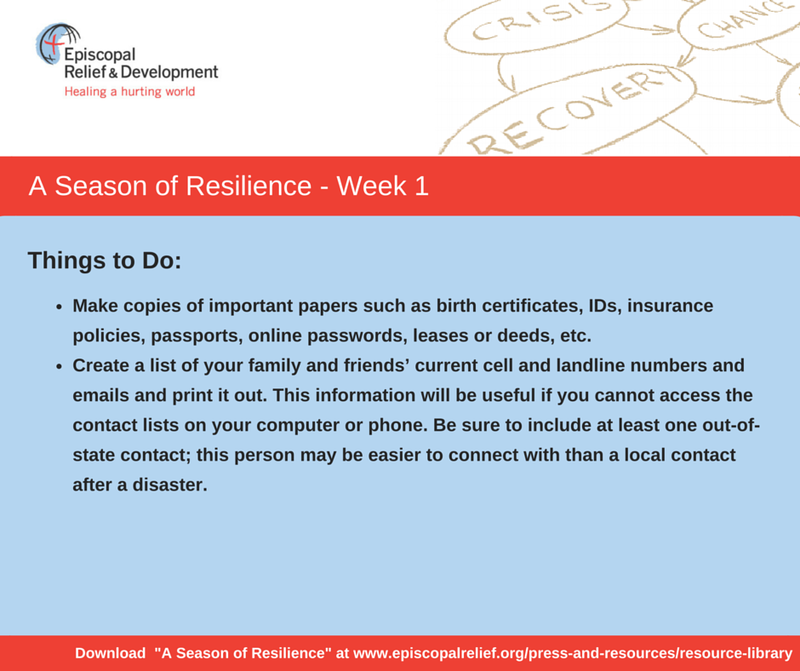 Click here to download a PDF of the full Episcopal Relief and Development’s “A Season of Resilience” guide. 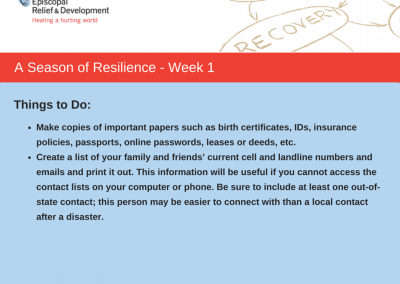 You can download the A Season of Resilience Social Media Graphics Zip File here. Click here for more resources on preparing your congregation and family for disasters on our Disaster Preparedness page.